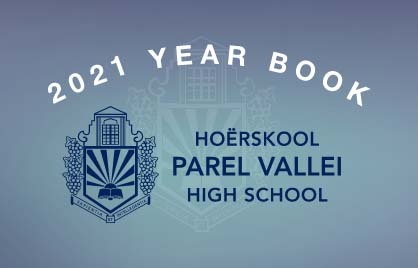 We are the Library Prefects of Parel Vallei High School. Our library has ten prefects, two in each grade. 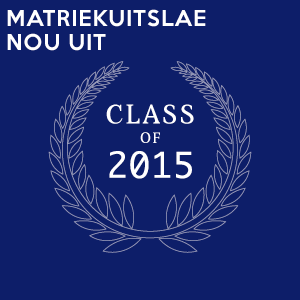 One prefect will be appointed head library prefect, usually a grade 11 or 12 learner. What do we do in the library? 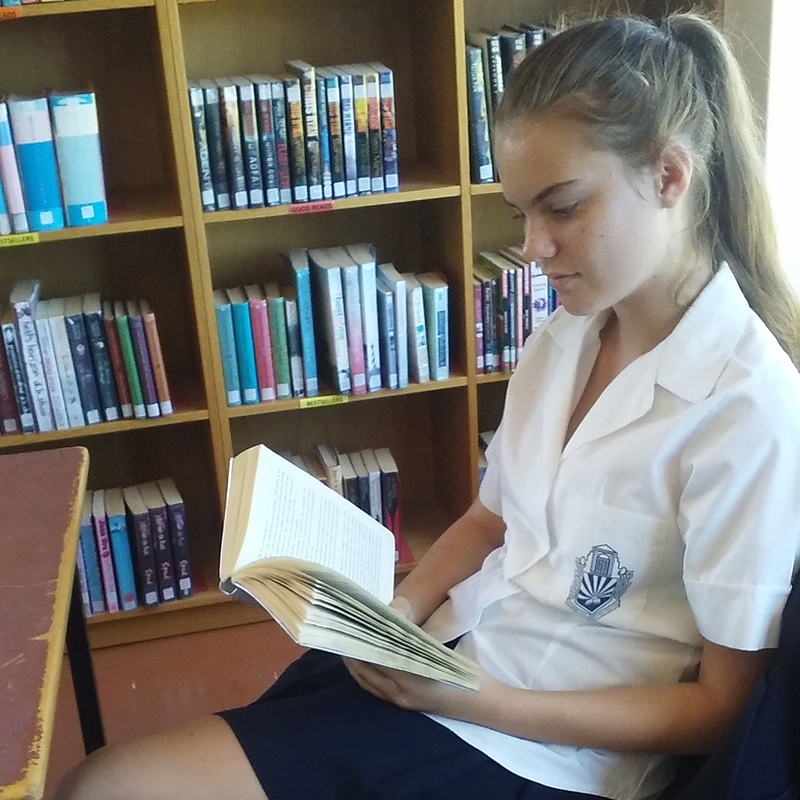 Each library prefect must take 3 duties a week: one during first break, one during second break and one after school. 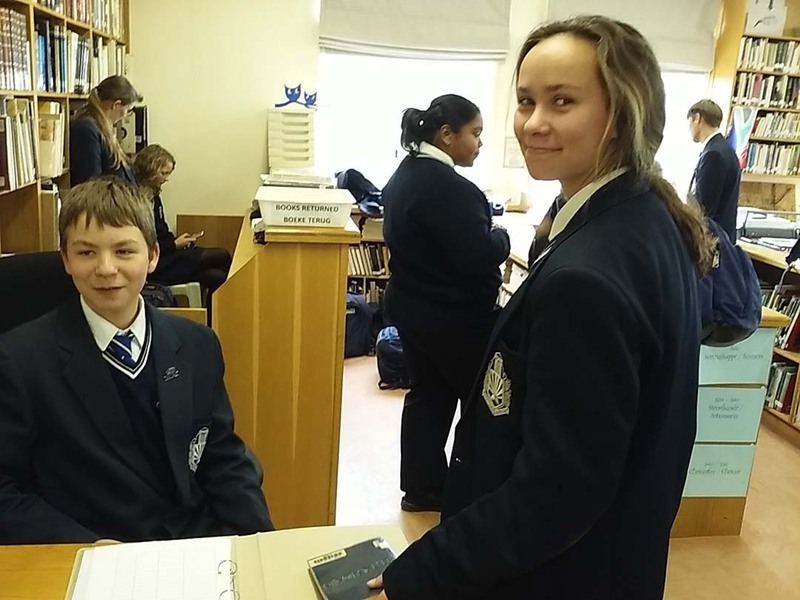 Library prefects work at the photocopy machine, handle money, check books in and out, answer queries and help learners to find good books to read and to research information for projects. They also need to pack away books and clean the library. Once a month prefects must help with displays on interesting subjects and every term the décor of the library is changed. The library prefects also help with the displays at the Open Day and they are on duty at the Open day as well. Activities only include the prefect duties during library hours. At the end of the year we have a farewell party, enjoyed by all. The goal of the library is to provide an excellent service to the school, so that learners are satisfied. We want to provide good service to the learners at Parel Vallei so they value the library as a useful research source for projects. In October we advertise vacant positions. Application forms are available from the library. Library experience is a recommendation, but not a necessity. What is our attendance policy? We are expected to attend to our duties when we are chosen as a library prefect.